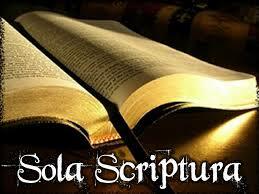 Sola Scriptura–By Scripture alone! That has a nice ring to it, doesn’t it? To that I give a hearty Amen! In Baptist churches that I have been around we have worded the same idea a little differently–The Bible is the final authority in all matters of faith and practice. To my ear that has a nice ring as well. Sign me up–It’s what I believe. Sometimes what we profess to believe is not what we actually believe. That is called hypocrisy. But that does not exhaust our error. Sometimes what we think we believe is not what we actually practice. That is misunderstanding that requires we face it so our heads can catch up to what we thought our hearts championed. Early in this series I wrote on “We Preach The Word Of God! Really?” and went hard after something I feel passionate about: Biblical (Expository) Preaching. As I argued there, despite our claims, there is a dearth of it in the Independent Baptist world. Strangely enough, I had an unusual experience preaching last Sunday. I preached on “He Added No More” from Deuteronomy 5:22. It was an exciting passage to study and preach. It was Moses recounting the giving of the 10 Commandments 38 years after the event happened in Exodus 20. The phrase is key because had it only meant “He was finished talking” it would not have even needed to be said. Whether it be the 10 Commandments, the Law of God, the plan of salvation, or the Bible itself, He gave all we need. It is complete and permanent. He gave it and “He added no more”. A lovely couple was visiting from out-of-town and as they were leaving they were complimenting how much they enjoyed that Scripture. The lady told me that she had spent her life in Independent Baptist churches and it had been her experience that the sermons so often added more. So much, in fact, that she could not find what she heard in Scripture! The Lord may have added no more, but the preacher sure did in many experiences she had apparently had. I need not rehash that refrain so common from my lips. Yes, we who preach God’s Word must hold the high standard of preaching God’s actual Word. Oops, there I go again! But it does suggest another issue as well. Whether the preacher we are listening to actually sticks to the text or not, we are still responsible to the text. Sola Scriptura is not lived by proxy. The Bible is not only the final authority in matters of faith and practice for a congregation, but for me individually. What does that mean? I can not turn over my understanding of God’s Word to someone else. If it works like it is supposed to, your pastor can be a great aid to digging out God’s Word. But if he fails, you are not off the hook. You are responsible. It goes farther. You can not allow some man to make all the decisions for your life for you; not while you hold that wonderful Bible in your hand and have the Almighty God waiting to be sought by you so as to guide you. There are some preachers who are a shame to the ministry, and others who are an embarrassment to those who love the Bible, but they do not absolve me from letting the Bible be my guide. This is the other side of the truth we must all remember. 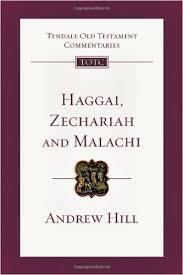 Here is another fine entry in the highly respected Tyndale Old Testament Commentary series. This is a replacement volume for Baldwin, so this title has big shoes to fill. I was immediately surprised by the size of the volume coming in at 368 pages. Apparently the series editors felt comfortable giving Mr. Hill the space he felt he needed. Since Mr. Hill already has written a volume on Malachi in the Anchor Bible series, a series known to revel in minutiae, I feared that this volume might have trouble sticking to the target audience of Bible students and pastors. While it does read slightly more academic than some in the series, that was not a problem. He begins by discussing the three together, even seeing some measure or connections between them. He sees a unity in The Day Of The Lord found in each. He was at his best when he sees a parallel to many in our day being jaded by religion. Historical context is given first, which is crucial in my judgment. We also get a clear, succinct Introduction for each book separately. The commentary itself is of sufficient quantity to help you get to the bottom of what the text is saying. I noticed real insights on many occasions. It is a real asset for studying this portion of Scripture. As a added bonus, it is quite economical for a serious commentary. I recommend it. This volume faithfully extends the respect afforded the prestigious Pillar New Testament Commentary series published by Eerdmans and edited by D. A. Carson. It has several features to commend itself to pastors, perhaps even more than for scholars, though it is without question a scholarly volume. He has an unusually short Introduction. It is clear and penetrating, but much shorter than we are used to. That is not, however, a liability as he just works the discussion into the commentary. He also just ignores the more ridiculous and unfounded discussions that clutter many commentaries. I find that refreshing as some of those discussions do not merit one drop of ink. Some have criticized Seifrid for not interacting enough with other scholars. His focus was clearly more on expounding the text than esoteric scholarly rabbit trails. Again, that is a plus too! It seems to me that he was only sticking to the design of the series he was contributing to. I have heard others criticize him for some “Lutheran” theology. I am not a Lutheran, but hearing viewpoints that don’t exactly match every other commentary is not a bad thing either. Taking the commentary here on its own, you will find well written and helpful exegesis to help get at the meaning of the text. I predict pastors will actually prefer it, as I do, over some of the other volumes out there. He gives us more insight into Paul and to what is going on in this second letter. I appreciate his taking this letter as a unified whole as well. 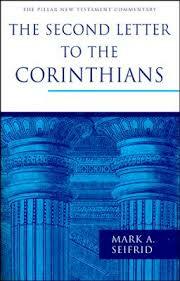 The positives here are many and I highly recommend this volume for teaching and preaching Second Corinthians. Find my reviews of other commentaries here. This volume makes the perfect primer on why we should care about Washington. It is not a biography per se, but it seeks to rescue Washington from the caricature that he has too often been presented as. I actually read this when I was in my late twenties, but I still recall the impact it made. 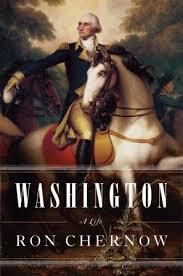 I had read a biography of Washington in High School, though I have since forgotten the author, that I enjoyed. Too often, however, I reduced Washington to the Parson Weems recreation as cherry-tree chopper instead of the vibrant man he was. Washington is anything but cardboard and cold! Brookhiser holds conservative principles that some will dislike, but only made the book better for me. He drew a good parallel between Washington and today and illustrated where we ought to return to the wisdom he showed. The 20 years that have passed since he wrote this book only make it more so. It was this book that taught me that reading about presidents beyond textbooks could be both enjoyable and rewarding. I can’t imagine how you could not enjoy this book. Find others in the series here. Here is the merging of two categories of reading that, if you are like me, you enjoy–Christian biography and Colonial America. 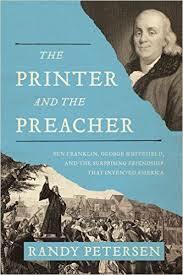 You get in this volume two prominent characters in those categories–George Whitefield and Ben Franklin. It is a pleasing, somewhat stretched, and breezy read. His premise that the friendship of these two men “invented” America failed, but the book did not. These two men made distinct contributions to what became America, and they even had some sort of friendship, but the friendship itself had nothing to with anything in forging of our nation. In fact, the friendship was much ado about nothing as he failed to uncover just how deep the friendship was. I suspect it was not that deep and we will never know for sure beyond that. Why I will still recommend the book is that these two men with their different lives did have such an impact. The similarities and differences in the two men are fascinating and how people took to them is something Petersen did capture. He succeeded in bringing Franklin alive more than he did Whitefield in my opinion. Part of the reason, I imagine, is that he too followed the oft-discredited study of Harry Stout. Still, with the above caveats in mind, it remains enjoyable reading. Why Bloggers Are Calling It Quits! The future of blogs, bloggers, and the entire blogosphere is unknown, but changes are inevitable. The newness is surely gone. Blogs on every subject have proliferated ad nauseam. For every post that is enjoyable there is its evil twin a click away. People, with so many options, are more selective. Then there are cycles. Trends reverse and people may enjoy getting information from other sources. Who knows, books might make a comeback! Bloggers grow weary too. There are the posts that burn inside until they must come out while there are others that come because it’s time for another post before the blog falls off the radar. This problem is not, of course, unique to bloggers; every type of writer faces it over the years. Couple the natural tendencies of writers with the swirling changes of our day and, again, the future of blogs are not easily predicted. Enter a blogpost written by Tim Challies that I want to re-blog here to give us food for thought. I hope you find it as fascinating as I did. Why Bloggers Are Calling It Quits –Click to read it. 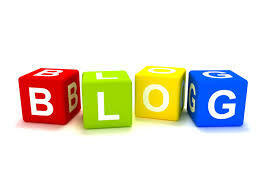 BTW, I still like blogging so I will continue to clutter the blogosphere! Here is the initial volume of a promising series for children with on the Adventures of Penny Nickels. As a parent of six children who has seen an incredible number of children’s books in my time, I found this volume actually delivers a message more than the fluff that is typical. Written by Adam York, this story got high marks from my children still in this age group. This story is to help children grasp stewardship. Not a little story about bringing your offering, but one that sees that being a stewart extends to all areas of life. Parents were shown with positive stewardship and the character, Penny, learned and demonstrated it too. The illustrations by Scott Burroughs were bright and happy and a great match for what the story told us about Penny. 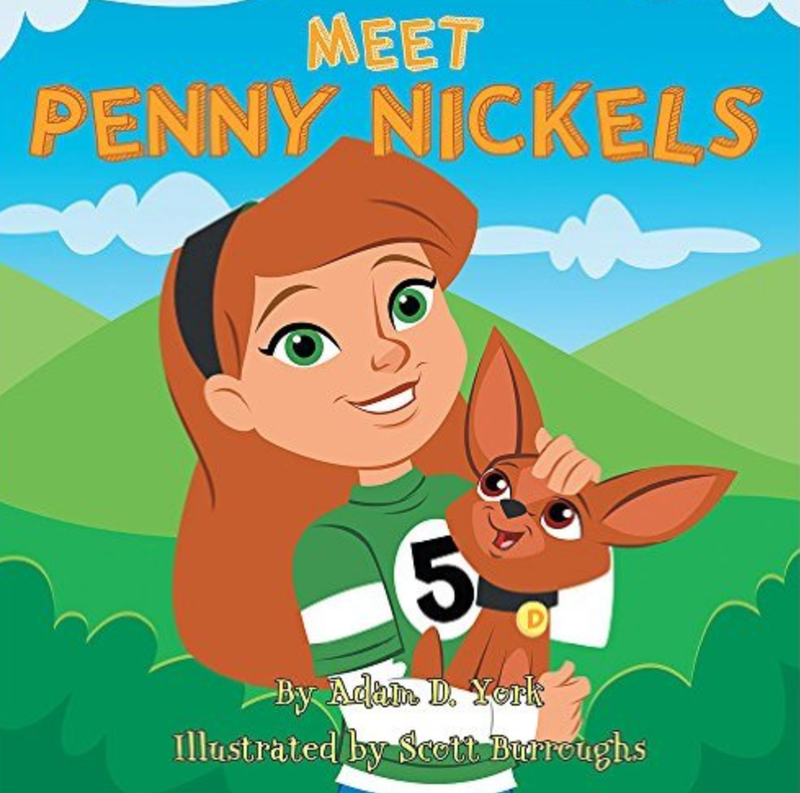 Meet Penny Nickels is a winner all around and I predict children will love this series. Parents will appreciate it too. Bad news can get out of hand. We can get a little addicted to it. Life has plenty of it and yet we always come back for a little more. In the last month it seems it has come as an avalanche. Perhaps we finally have more than we want now, but it is here in the extreme. Still, I have learned an embarrassing lesson of late. At least three or four fake stories have come along among all the horrific stories out there and I have fallen for them like a careless novice. I should know better and that news stories are best verified before being believed or repeated. I’ve kept up with news all my life and have striven to not be naive. Somehow I have made what seems like rookie mistakes. I suspect part of is that there has never been a month like the one we have just gone through and being shocked became a daily occurrence. Does that sound like an excuse? It is, even if it is true. I think a more accurate reason was my getting carried away with following these stories, yet lazily getting many of then from my Facebook news feed. Not all news stories on Facebook are created equal– no matter if they were shared by someone you respect (others can be fooled too), or if they come from what sounds like a conservative news source. So I have scolded myself. I remember now than con artists will even try to sound like a reputable news source. Other sites hold to conservative principles but as “hits” are the name of the game in the internet world, they give way to sensationalism. Wouldn’t you agree that there is enough bad news in the world that we need not add to it by falling for fake stories? Wouldn’t you also agree that exercising caution in passing along accurate information even if hitting the “share” button is so easy is also in order? So what has this to do with this Truth Revolution series? I mean beyond the obvious “truth”? 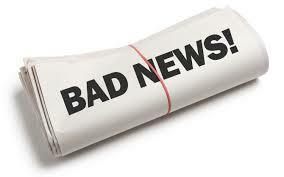 We have been so careless with what we do with bad news in our Christian circles. We are careless about making sure a story is true. If it is about someone failing, and so many fail, it must be true, right? Especially if they don’t agree with us on some little pet issue? We repeat stories too. At least some of the stories in current news, were they true, could affect our lives. In Christian circles we often pass along junk that will never affect our lives personally. But bad news is such deliciously good conversation, isn’t it? I scolded myself, as I said, over falling for a few political news stories where I should have known better. I wonder if it is time that we all scold ourselves over stories among Christians too. What do you think? This volume by Ron Chernow is the best historical biography I have ever read. It is a combination of writing skill, historical accuracy, penetrating insight, and the subject himself. Perhaps a disclaimer is in order: I love George Washington. To my mind, he is far and away the brightest star in the annals of the history of our nation. You might even say that Washington deserved this exceptional, Pulitzer Prize-winning treatment. A tad long for some at 817 pages of text, but the subject demands it. 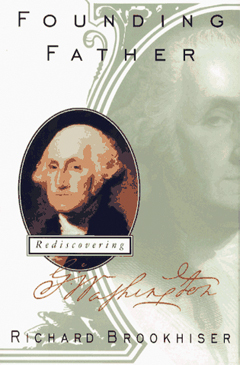 Here in the hands of a master storyteller Washington is rescued from historical revisionism as well as the caricature of the legend he has become. What is left is a man worthy of admiration. He lived up the legend as much as flesh and blood ever could. That is not to say that he had no character flaws. Chernow hid nothing. Washington always struggled with being a little vain even if he rarely failed in public expression. He was ambitious, at least until he became weary of his incredible success that went beyond his wildest dreams. He was horrible managing money and though he had vast land holdings, he had cash flow struggles until he died. He wrestled in his conscience over slavery, but could never take the steps his conscience suggested.The politics of his home state of Virginia made it too explosive and he could never figure out how to balance his struggling books since if he set his slaves free he would lose financially since slaves were valuable. He was a product of his times, did nothing to hamper their later release, and at least struggled where Jefferson and Madison never did. Chernow suspects he had an infatuation with a married women when he was younger, but there is no evidence of adultery. He was good to Martha and her children. He was zealous in dealing with any cases of insubordination, even too extreme for some folks. And there was Jummonville. The beauty of this volume is that even after learning of his flaws, your respect remained high. He was the hero of the Revolution and deservedly so. He was not a tactical genius like, say, a Robert E. Lee, but he had his moments. His success came from persistence, recovering from losses, molding a motley crew, making something out of nothing, and never giving up. Chernow handled this with aplomb. Chernow also showed what a man’s man he was. Despite his love of fine clothes, he never dodged hardship. Chernow’s recounting of Washington’s horsemanship in crossing the Ohio River is one never to be forgotten. Washington was also fearless. In fact, he has no equal in fearlessness. Bullets never scared him. He always believed God would protect him till his time was done. In that every Washington family member except his mother died young, he never expected to live long anyway. He faced life-threatening health crisis several times in his life. He faced his actual death with his fearlessness in tact. He had hardship. Chernow traces his relationship with his wretched mother. What mother what not have been thrilled to have had as revered a son as Washington? His self-absorbed mother did not and was a carping critic throughout his life. Chernow did not hide Washington’s Christian faith. Perhaps he did not see it as strong as I did in a few spots, but he did not obscure a vital component to who Washington was as a person. Chernow also summarized Washington’s life in a fair way. He did succeed as a President. Perhaps he did not think he had succeeded with all the bickering of his cabinet as he presided before the official start of political parties, but he was visionary in a way that no other leader we have had has done. He truly put his country first and blessed succeeding generations beyond measure.I wish today some politicians could bury their ambition, which is a human struggle for all, and put the nation first. This is the first volume I would purchase in creating a presidential biography series. It is a treasure. 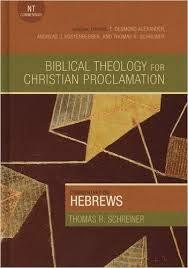 Here is the first volume in a brand new commentary series, the Biblical Theology For Christian Proclamation by Holman Reference. Published by the same organization that produced the wonderful New American Commentary (NAC) series, we have high expectations(all contributors will hold to inspiration and innerrancy). One of the General Editors, Thomas Schreiner, contributes the inaugural volume. Admitting in the Introduction to the series that we have so many series today that a new series needs a unique approach, this one aims at especially highlighting the theology of the book. Mr. Schreiner is a well known scholar and a prolific commentary writer. He has done a good job here. The Introduction covers many of the usual suspects (e.g., he is confident Paul did not write Hebrews), but even there he highlights theology throughout. The commentary proper is thoughtful. Still, he can’t help wrestling with a few of the more esoteric thoughts that have come along. The scholar in him could not resist, I suppose. Also, in a few places I could not agree with his conclusions. The commentary, however, adds really helpful discussion for pastors and, most importantly, the theology angle is successful. We need to keep theology as one element of our thoughts in studying a text. The size is perfect for the aims of the series. The volume is an attractive, colorful hardback. This volume bodes well for the future of this series. I recommend it.